You are a whole person, not just a physical body or mental self with a set of symptoms to be fixed. You have a physical body which may experience great health at one point in time and illness at other times. There is also a mind, which consists of and is shaped by the interplay of the emotional, mental, spiritual, and social dimensions of you. The mental and emotional dimensions of you may be healthy and balanced, exhibiting mental clarity and a belief system optimal for well-being, or it may demonstrate negative states such as confusion, hopelessness, fear, anger, etc. You might be well-rounded socially, with a healthy sense of boundaries, or may be drawn to unhealthy relationship patterns. Moreover, your spiritual essence, when aligned with life purpose and a deep sense of belonging, brings about inner peace and joy, but it suffers when disconnected from a greater sense of presence and being. As you see, these multiple dimensions of you are not separate from one another. In fact, they are interconnected and are in constant interaction with each other. 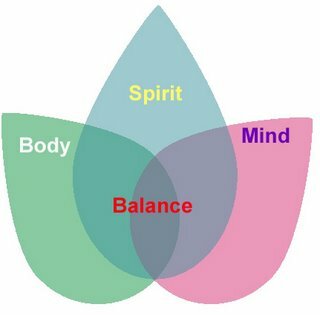 Your optimal health and well-being is achieved when these facets of you are working in cooperation with each other. But when a particular dimension of you is neglected or overcompensated, other dimensions of you invariably are impacted and suffer as well. The good news is that you already contain the whole, and there is no need to re-create wholeness. It is my goal and mission to assist you in accessing and discovering the wholeness in you by allowing different levels of mind-body to blend and work seamlessly together, with precision and unified focus. When this happens, just imagine the sense of inner harmony and fulfillment you are capable of experiencing. I fully acknowledge the pain and struggles you may be experiencing right now, may it be illness, pain, fear, resentment, or any other debilitation. But I don’t stop there -- as a holistic healing practitioner, I look beyond what is on the surface and fully explore the powerful ways in which your physical, emotional, mental, social, and spiritual dimensions are capable of working together seamlessly and enhancing each other harmoniously. When this state is achieved, you step into an entirely new level of power and health, for the whole you. The beauty of this approach is that any of your mind-body dimensions (physical, emotional, social, spiritual) can be used as an entry point to the healing process, using the highly effective mind-body techniques that I implement in my healing practice. This makes your sessions progress so much more effectively and efficiently, with long-lasting changes! I sincerely invite you to take advantage of your innate healing ability, take charge of your life, and begin your journey of returning to wholeness.